In PPC, there are lots of metrics to track, so it can quickly get confusing and then overwhelming. Marketers often ask me, “What’s the one metric I should optimize for? I just want to know the top one or two levers I can pull to make a difference!" Account Activity: You get out what you put in. This isn’t too shocking; advertisers who do more work on their accounts get better results. 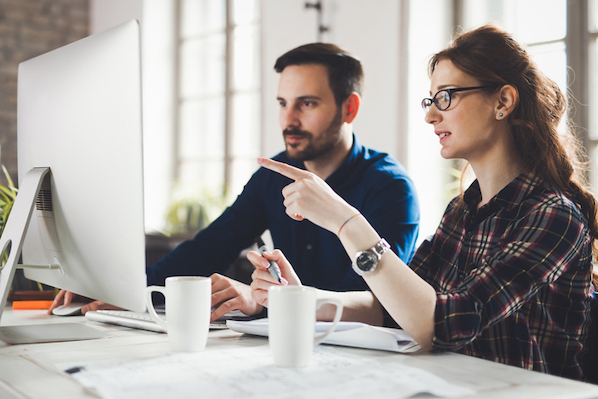 Quality Score: Higher Quality Scores generally lead to lower costs, so optimizing for Quality Score is essentially the same as optimizing for ROI. Since Quality Score is really a measure of relevance, it’s a powerful predictor of your success. And it makes total sense -- Google’s main goal is to keep users happy so they keep using Google, and keep clicking results. More relevant ads, campaigns, and landing pages get more clicks; that raises your Quality Scores and -- since Quality Score determines both your ad ranking and what you pay per click -- everybody wins. So once you’ve committed to spending more time in your account, what should you spend your time on? 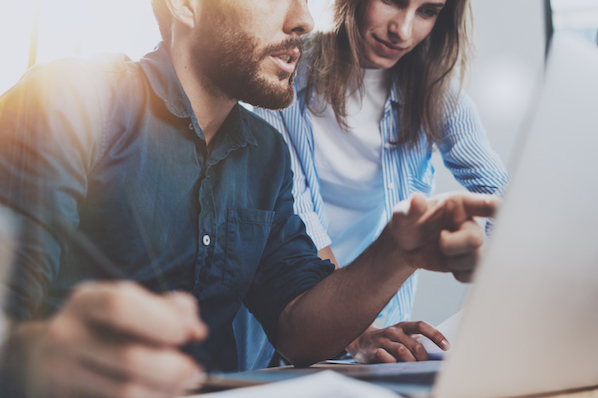 I recommend that you focus on optimizing your Quality Scores, which is the metric most likely to lead to higher rankings, more clicks and leads, and lower costs for those actions. How much lower? Let’s take a look. In 2009, Craig Danuloff crunched some numbers to show that a Quality Score of 10 could save you 30% on cost per click, or CPC. (Sadly, I can’t link to the post because the Click Equations blog now redirects to Acquisio.) But that was over four years ago, and I was curious to see if the data had changed. Therefore, accounts (or campaigns or ad groups) with average volume-weighted keyword Quality Scores better than 5 can be considered better than average, and are thereby benefiting relative to most advertisers. 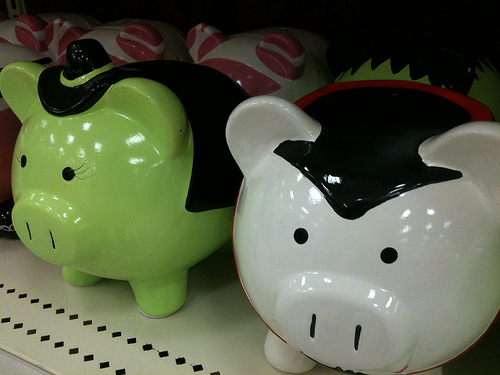 Accounts with average Quality Scores lower than 5 are below average, and those scores are detrimental to your account. A Quality Score of 6 is 200% more valuable than it was four years ago! 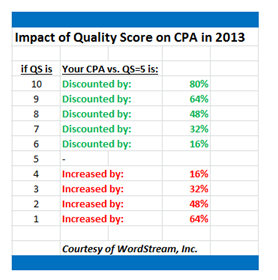 A Quality Score of 6 was previously below average, and increased your CPC by 16.7%. 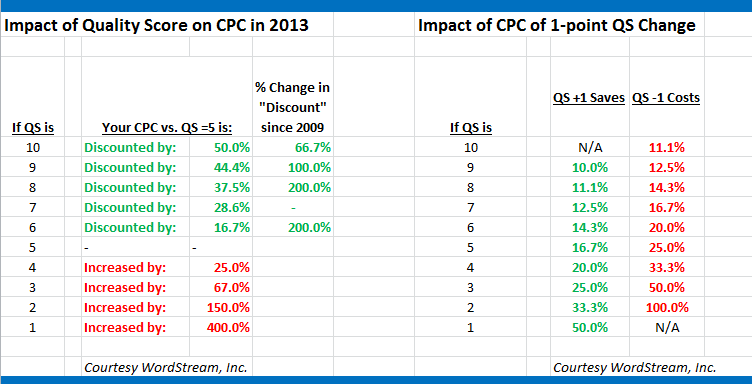 Now, a Quality Score of 6 decreases your CPC by 16.7%. A Quality Score of 9 is twice as valuable as it was in 2009, saving you 44.4% compared to 22.2%. A Quality Score of 10 now saves you a full 50% on CPC. 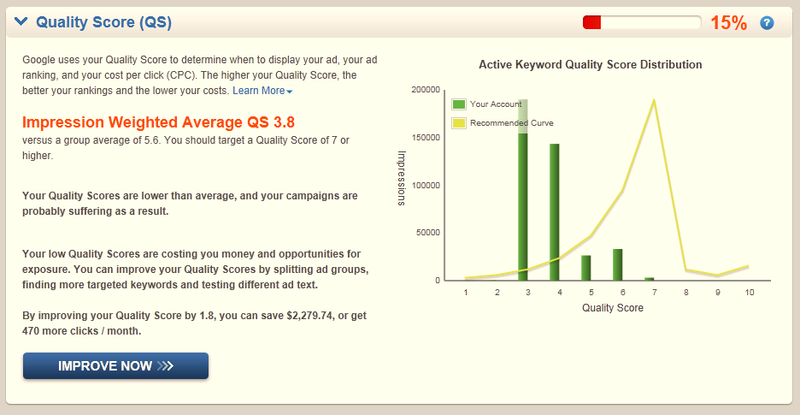 That means if all your keywords had Quality Scores of 10, you’d only be paying half as much as the average advertiser. Pretty crazy, right? With a Quality Score of 10, you’ll pay 80% less per conversion than an advertiser with an average Quality Score of 5. These savings are mostly driven by lower costs per click. This is why optimizing for Quality Score is such a good use of your time. 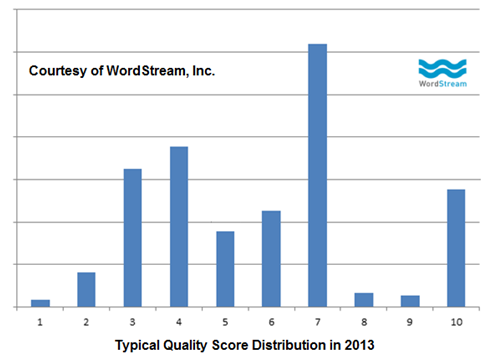 Benchmarking AdWords Quality Score: What Should You Shoot For? As I mentioned above, average Quality Scores these days hover around a 5. So anything higher than 5 is going to benefit you, relative to the average AdWords advertiser. That means you should shoot for a bare minimum impression-weighted average Quality Score of 6. However, it’s important to note that higher scores save you more. If you want the full 50% savings, you need the gold standard Quality Score of 10. The fastest way to find out your impression-weighted average Quality Score in AdWords is to grade your account using the free AdWords Performance Grader. This tool will do an instant audit of your PPC account across 8 different key performance metrics, including impression-weighted Quality Score. Use ad extensions. AdWords ad extensions, such as sitelinks, make your ads bigger with more places to click, so they increase CTR at no extra cost. Write better ad text. Test different messaging to find the ad text that speaks to your audience. And use your one allotted exclamation point! Bid on brand terms. Branded keywords tend to have really high clickthrough and conversion rates, so they bring up the average for your whole account. 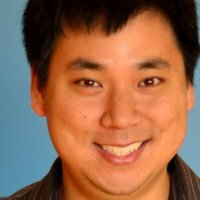 This is a guest post written by Larry Kim. Larry is the founder and CTO of WordStream, provider of the 20 Minute PPC Work Week and the AdWords Grader. You can follow him on Twitter and Google+.